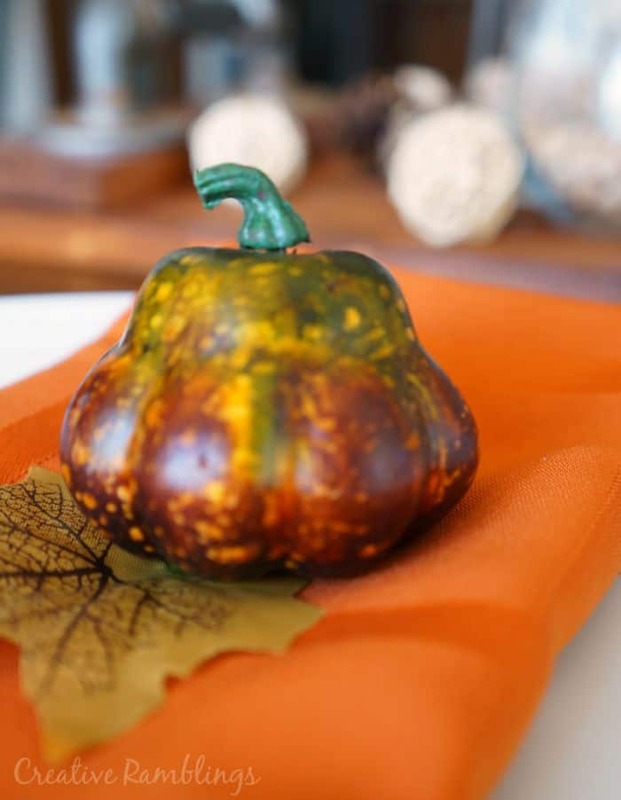 When I think of fall the colors that come to mind are warm and neutral. I love deep oranges, reds and yellows too, but soft white and gold are always on the forefront of my mind. 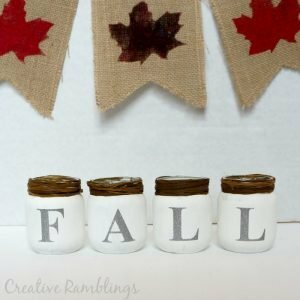 I created this warm and neutral fall centerpiece for my kitchen table with items I had at home. I used pieces from various seasons and pulled them together for a very fall look. 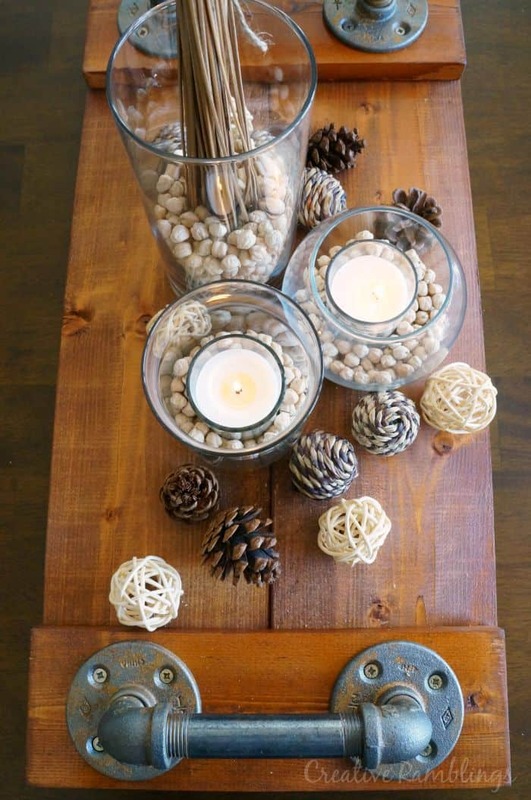 I arranged this centerpiece on my industrial wood plank tray, one of my favorite DIY projects of the year. 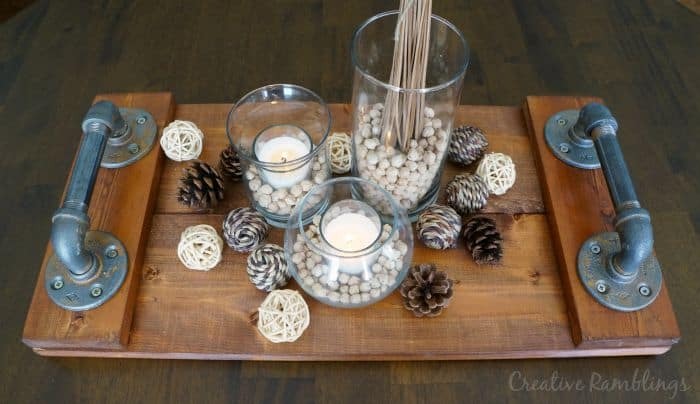 This tray has a rustic look, perfect for the season. 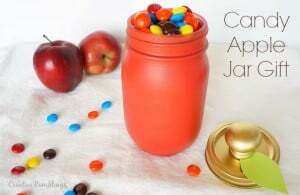 This post contains affiliate links, you can view my full disclosure policy here. I love the warm glow of candles on cool days, especially around the dinner table. 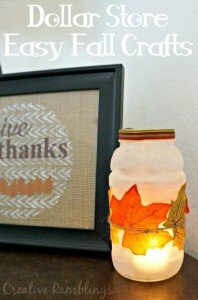 I used simple glass vases from the dollar store and inexpensive glass votive candles. 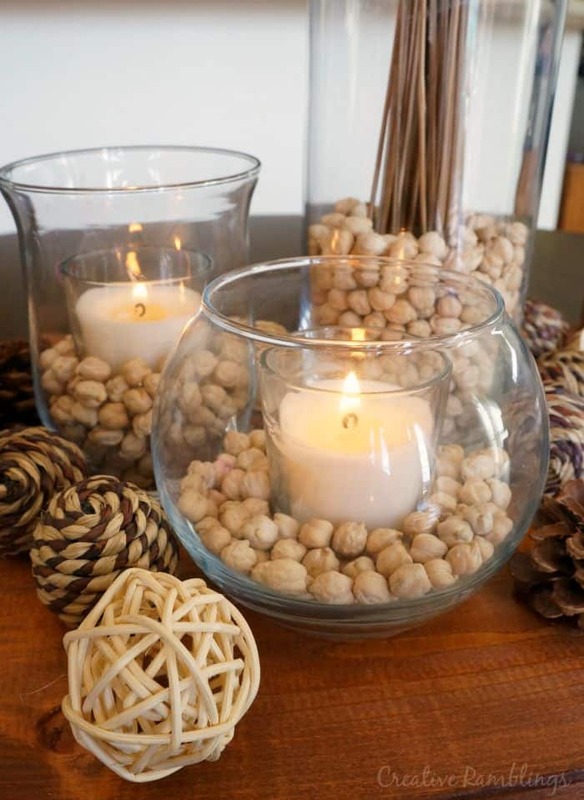 I filled the vases with dried garbanzo beans to add a rustic neutral touch. In the tall vase I used some summer twigs, they look great paired with summer decor but can double as a fall decoration when used in a centerpiece like this. I added a few grapevine balls and pine-cones randomly around the vases to finish off the look. 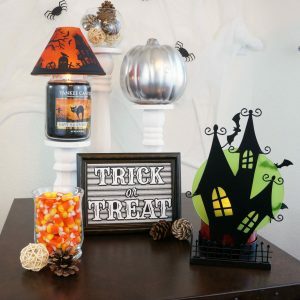 This centerpiece moves from my kitchen table to my counter and brings a fall look to my whole room. 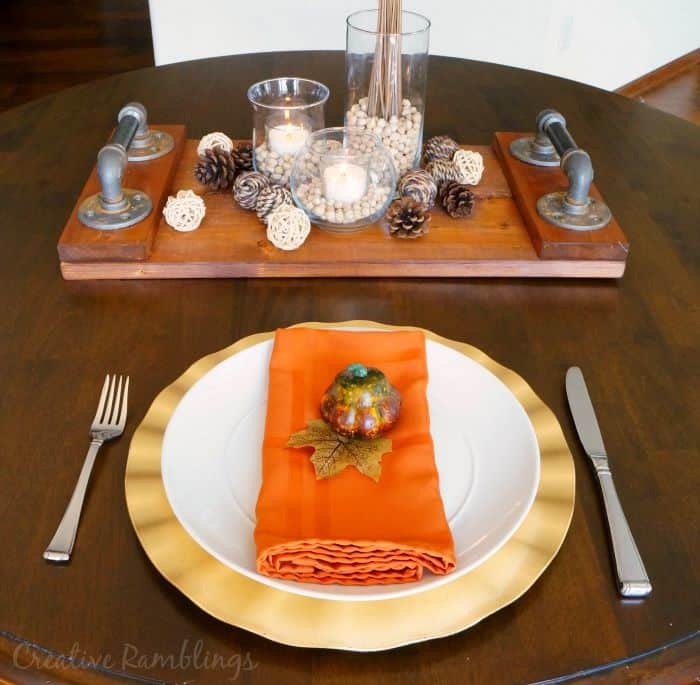 I love how it looks paired with a white and gold table setting, the kind I am planning to use for Thanksgiving this year. 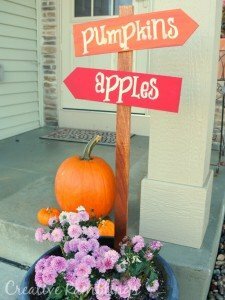 If you want more fall inspiration be sure to follow me on Pinterest and check out some of my favorite fall projects below. Very pretty, Sarah. I especially love that tray you made! !